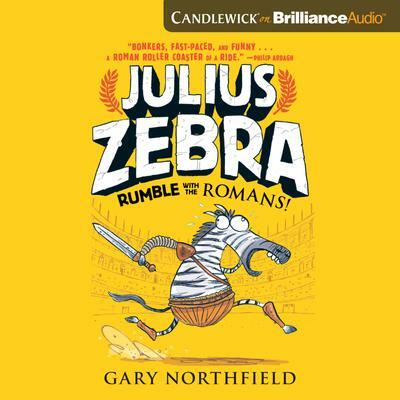 What happens when you mix the gladiatorial combat of ancient Rome with a fast-talking creature who is DEFINITELY NOT A STRIPY HORSE? From a smelly water hole on the African savanna, Julius Zebra is captured, along with Milus the scarred lion and Cornelius the clueless warthog. Transported to the ferocious clamor of the Colosseum, Julius Zebra and his motley menagerie of friends must gear up to be…gladiators! The only way they will gain their freedom is if they win the love of the Roman crowds. But do they have what it takes to succeed in a world where only the meanest and toughest survive?